This bottom is a rework/coverup of a pretty bad tattoo. 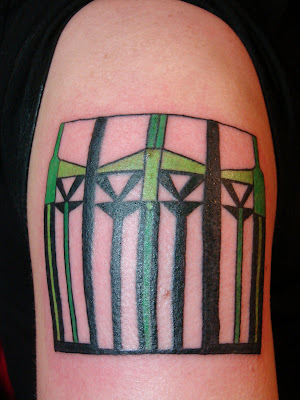 It is meant to represent the stained glass window in the Savoy Grill. me sarah and emily beth are ready for you to start working on our mini tats of our lady of guadelupe. GO! 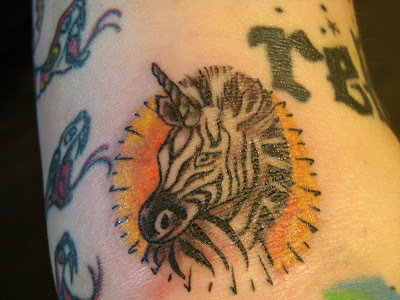 love the zebra-corn!!!!! !